Anyone and everyone knows of the famous American chef Thomas Keller, a culinary god. He’s the only American chef to own two three Michelin starred restaurants, The French Laundry in Yountville and Per Se in New York City. Now I would have died to go eat at The French Laundry again (too bad I was five years old when I ate there) but the restaurant is currently closed for renovation! So I decided to have a relaxing lunch in Yountville at chef Keller’s one Michelin star restaurant, Bouchon, a classic French inspired bistro. Bouchon’s décor transports you to a Parisian style bistro. The restaurant offers typical items you might find in a Parisian bistro such as raw oysters, pâté de campagne (country style pâté), salmon rillettes, escargot (snails), bone marrow, duck confit, steak with fries, and croque madame (ham and cheese sandwich with béchamel sauce and topped with a fried egg). Beignets de Brandade de Morue: Cod Brandade with Tomato Confît and Fried Sage (8/10). 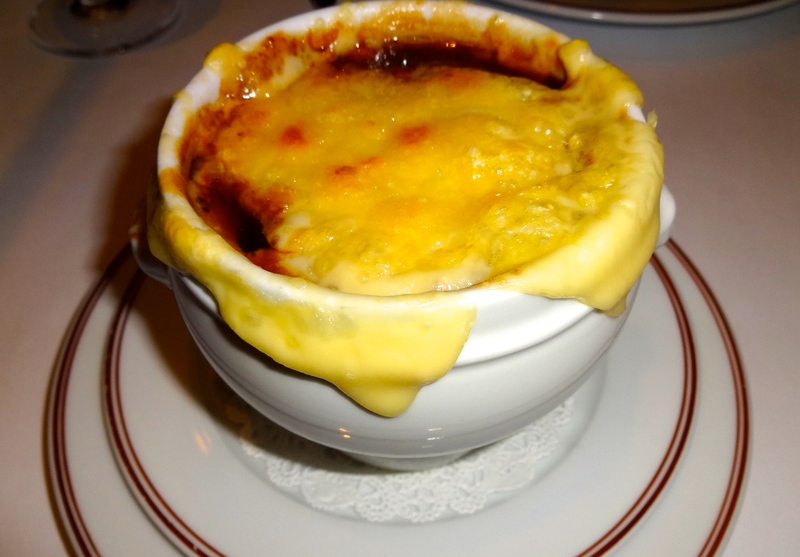 Soupe à l’Oignon: French Onion Soup with Beef Jus, Country Bread, and Comté Cheese (7.5/10). Poulet Rôti: Roasted Chicken with Sunchokes, Winter Squash, Swiss Chard, Bacon Lardons and Chicken Jus (8.5-9/10). Gigot d’Agneau: Roasted Leg of Lamb with Boulangère Potatoes, Savoy Cabbage, and Thyme Lamb Jus (8.5/10). 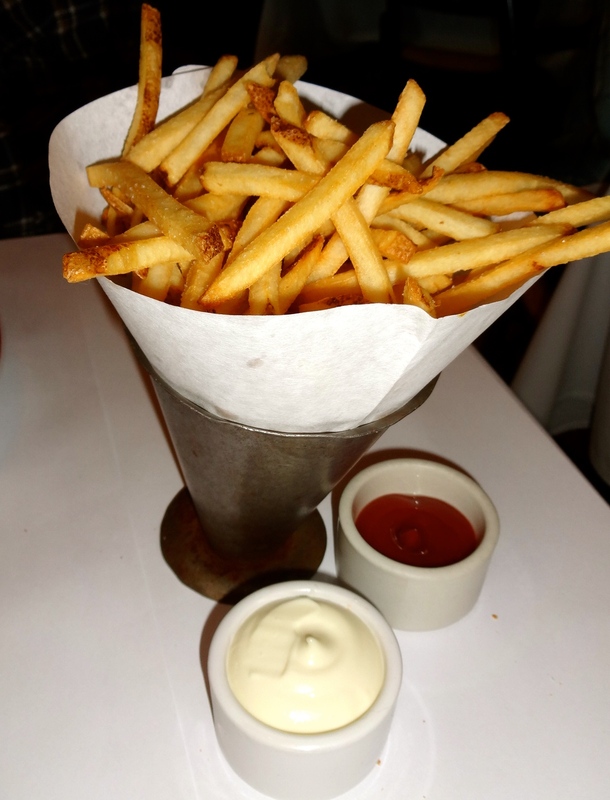 Pommes Frites: French Fries with Garlic Aioli and Ketchup (7.5/10). Chocolate Bouchons with Homemade Nutella, Hazelnut Ice Cream, and Cocoa Hazelnuts (8/10). 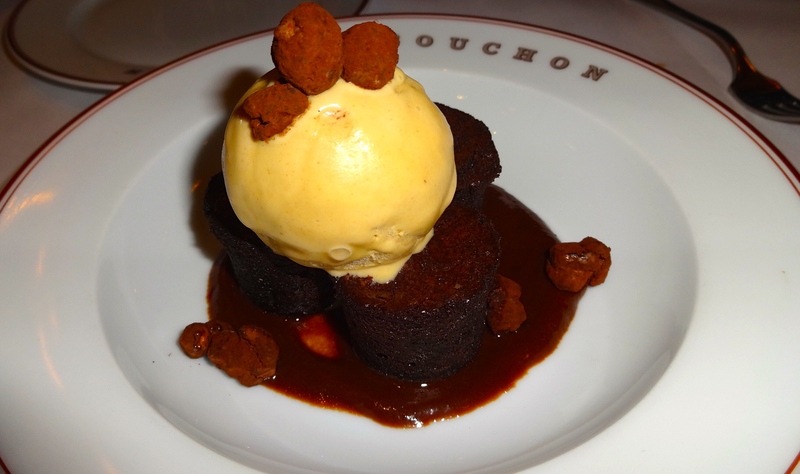 Dining at Bouchon reminded me of eating delicious French food in beautiful Paris. All the food were classic French dishes expertly prepared and tasted divine. My favorite dishes of the lunch were the beignets de brandade de morue, poulet rôti, and gigot d’agneau. First, the beignets de brandade de morue had an exquisite golden brown crispy crust stuffed with a filling made from cod brandade, salt cod fish cooked in milk with potatoes and aromatics and whipped together. 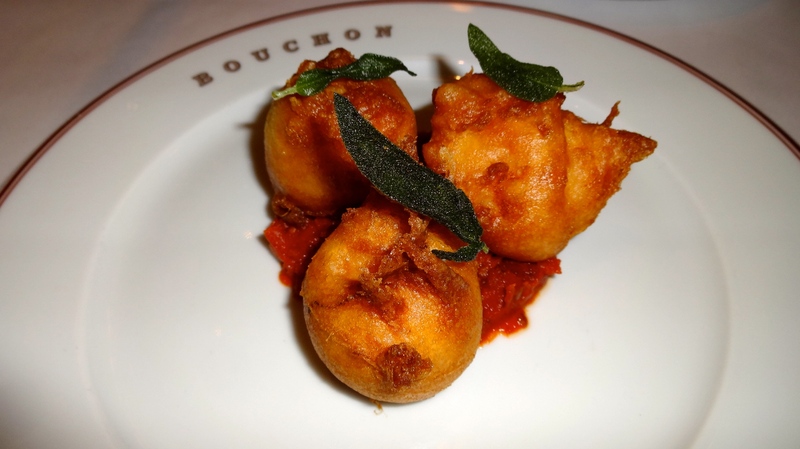 The beignets were served with sweet tomato confit and crispy fried sage. The poulet rôti, roasted chicken, was perfectly executed with crispy skin and tender juicy meat. The accompaniments were outstanding with salty bacon lardons, sweet winter squash, earthy sunchokes, vibrant swiss chard, and an out of this world chicken jus. Oh man, delicious! Our second entrée, the gigot d’agneau or roasted leg of lamb, was cooked to medium rare perfection served with savoy cabbage and scrumptious boulangère potatoes, layers of thinly sliced potatoes with caramelized onions. Yum! 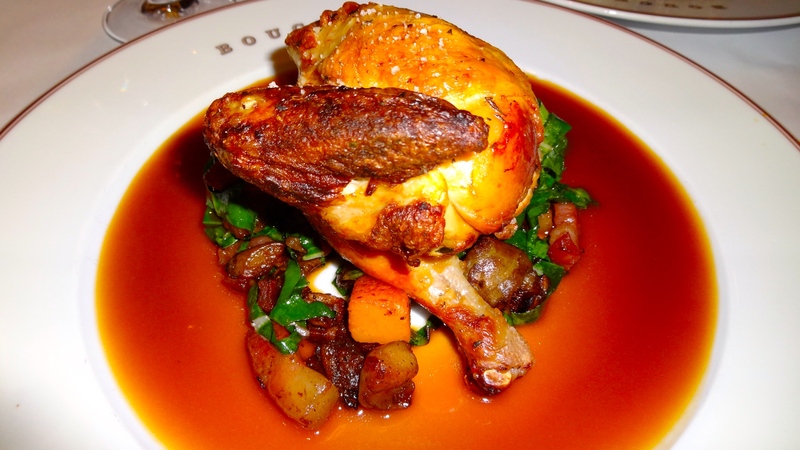 Overall, Bouchon serves tasty bistro food with great service so I would give the restaurant a 8.5/10 rating. 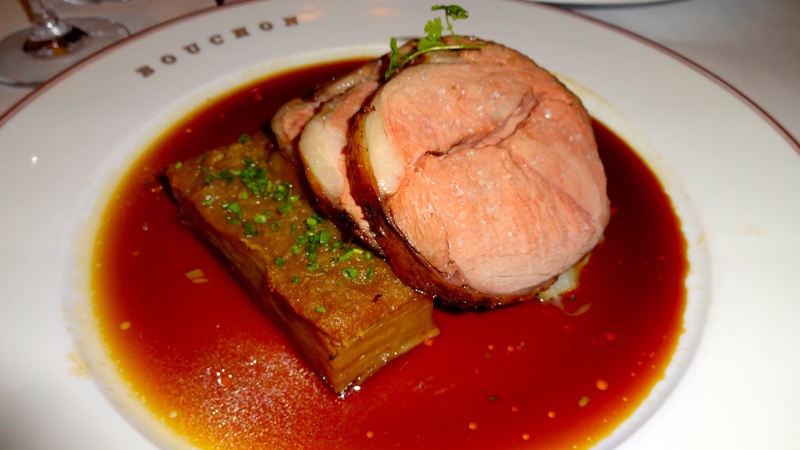 If you want some classic French bistro food, then head over to Bouchon and you won’t be disappointed! 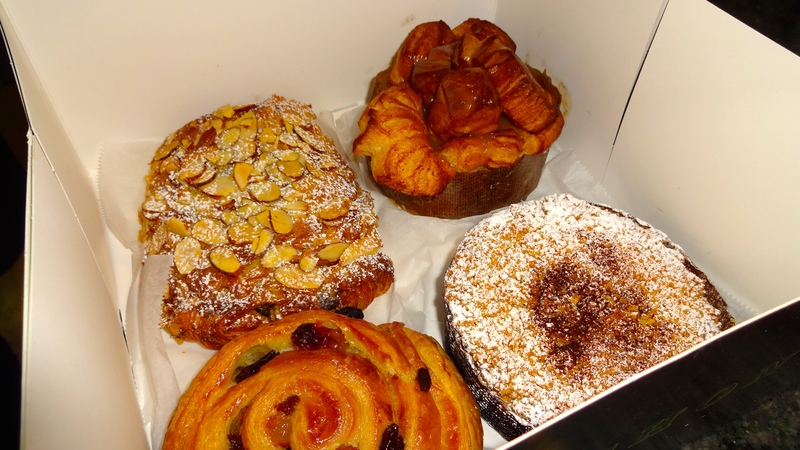 Right next to Bouchon, there is Bouchon Bakery selling amazing breads and pastries. Usually the line is so long at the bakery but we got lucky! Tommaso and I bought numerous items to take home to share with my parents. Almond Chocolate Croissant (8.5/10), Pain au Raisin (7.5/10), Coffee Cake (7/10), and Monkey Bread (9/10). 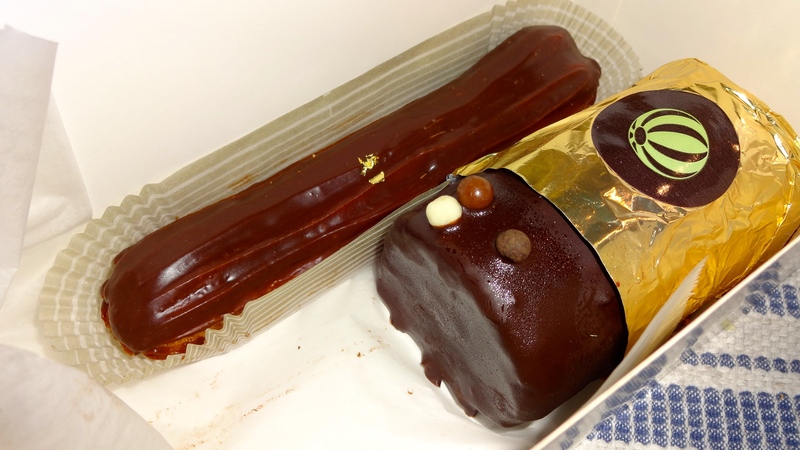 Bouchon Oh Oh (8/10) and Chocolate Éclair (8/10). Bouchon Bakery is definitely worth stopping by if you’re visiting the area, whether you’re eating at one of my many delicious restaurants located there or tasting some of the finest wines in Napa Valley. 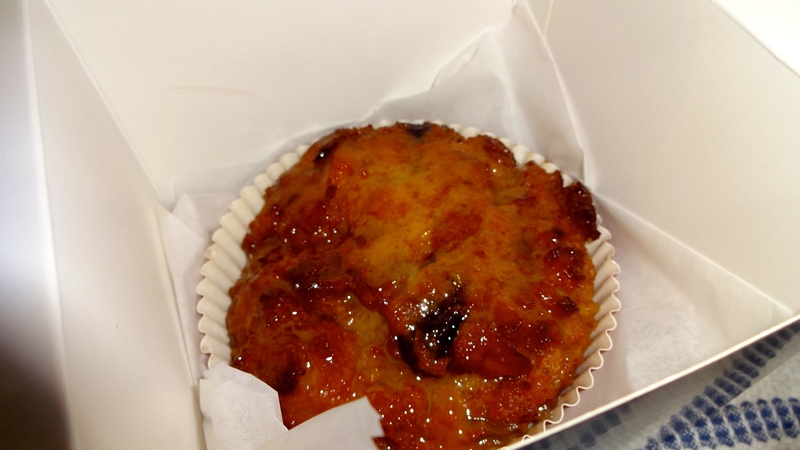 Love Bouchon!! Go to Bistro Jeanty down the street, one of my favorites!!! 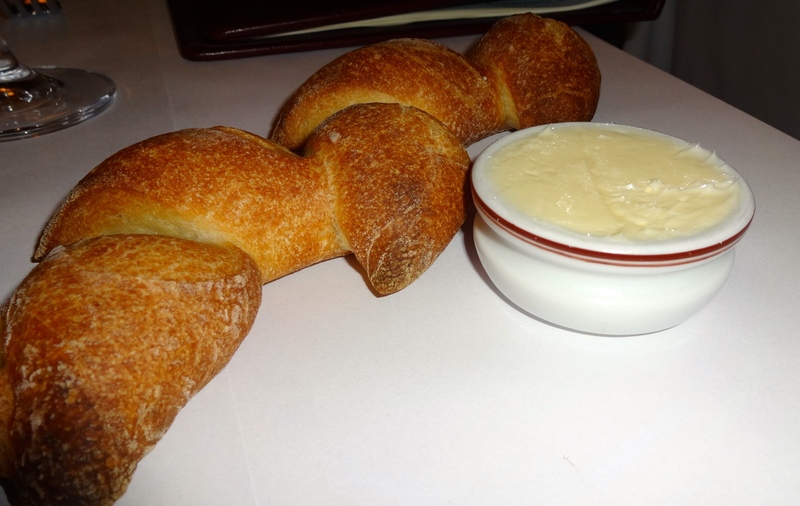 Which did you like better, Bouchon bistro or Bistro Jeanty?! Pingback: Review: Redd. | Sale, Pepe, Amore.